Casa Laguerta raises bar in “affordable” housing development | Stateland, Inc.
Binondo, Manila – Leading real-estate developer Stateland, Inc. further proved its commitment and dedication to serve Filipino homebuyers in a recent grand launching of its socialized housing project – Casa Laguerta at Barangay Laguerta in the city of Calamba, Laguna. 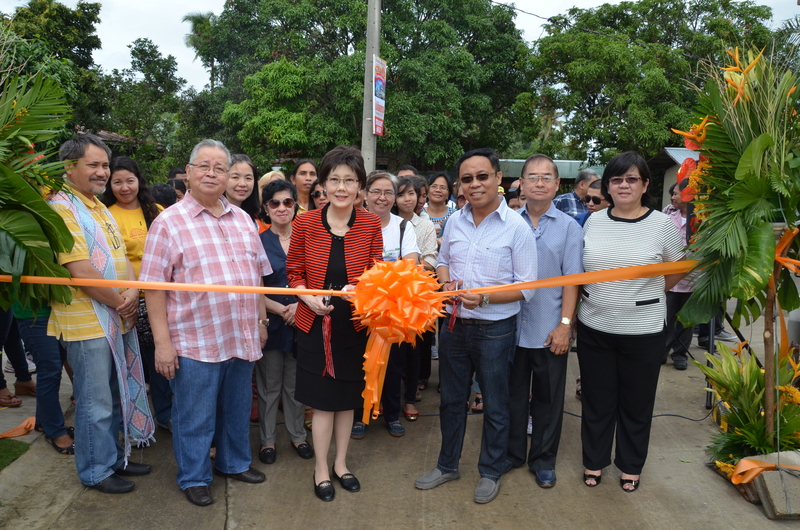 “Casa Laguerta is our answer to the government’s call to build socialized houses.” said Stateland president Reynaldo T. Cometa during the inauguration of the project last Saturday, November 29, 2014. He also emphasized “We want to cater to minimum wage earners who yearn for decent and affordable homes. Imagine owning your dream home for a monthly amortization as low as P2,227.00 payable within 30 years. This is made possible through our partnership with the Pag-IBIG Fund and is something that we at Stateland are truly proud of.” Cometa wishes to expand the project in the near future to be able to provide to more Filipinos. Cometa pointed out in his keynote that despite the low-cost offering in Casa Laguerta, Stateland continues to extend its hallmarks of sound construction in both housing and land development in this project. To date, 20% of all available units has already been sold. An estimated number of 400 people attended the grand launch and open house. The event was graced by representatives from the Pag-IBIG fund and the Calamba local government unit, highlighting the partnership the developer has with these key agencies. This rising community primarily caters to the families seeking affordable houses without compromising quality and comfort. Located in Laguna, it shares a magnificent view of Mt. Makiling. The model units showcase convertible custom-built furnitures to maximize living areas. The community features a multi-purpose hall and playground to cater to residents’ recreational needs. It also provides a 24 hour security, making it the perfect environment for the family. Casa Laguerta is the epitome of the company’s mission to deliver quality and innovative products and services to its customers and to make meaningful contribution to national development. With its desire to end the year on a high note, Stateland, Inc. encourages its clients to invest their hard-earned money on a lasting home investment. For the holiday season the company launched its “Be Home for Christmas” promo which comes with exciting gifts and incentives for buyers.